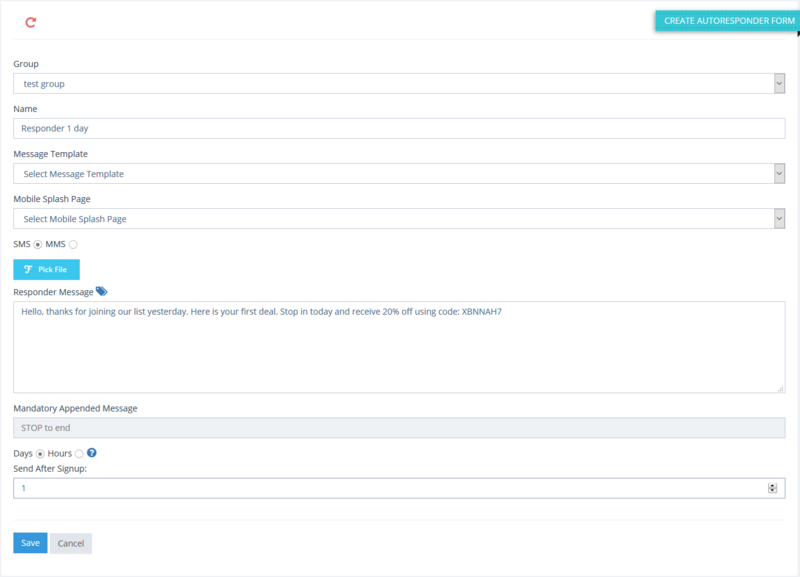 You can setup the autoresponders to automatically send SMS back to the subscribers after they join your list on a preset schedule much like email autoresponders work. Automatically send them a messsage instantly, 1 day, 7 days or 30 days after they subscribe. You set whatever interval you want, the choice is yours. In addition to configuring the autoresponders for days intervals, you can also create your autoresponders to get sent after a certain # of hours after a person subscribes which gives you greater flexibility! If you want to automatically send the new subscriber a message 3 hours after they subscribe, you can do that very easily. NOTE: Hours is a range in that hour of time. So if you selected 3 hours, it will send the responder to anyone that subscribed greater than 2 hours up to 3 hours ago. Setup an entire follow-up SMS campaign with them after they subscribe, all handled automatically once you have your autoresponder series configured exactly how you want. Engage your subscribers and keep them interested.